Its a common question among the fresh dog owners and it is easy one to answer. Yes! 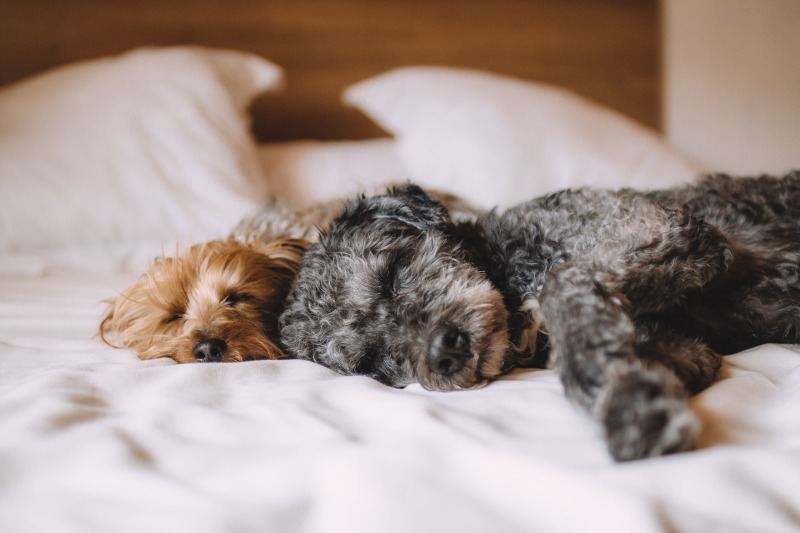 Now lets count down some of the benefits you can get from sleeping with a dog in your bed. Nothing can make you feel as safe as your furry companion, even if they are a small breed no one would want their teeth marks! So on a subconscious level we feel safer when we fall a sleep with the dog beside us. This one is self explanatory, the dogs are very warm and that can make us fall a sleep easier. Having a dog sleep near you will help you if you are going through the tough times. It is because you will not be absolutely alone and having your dog there will make you interact with him and get your mind off of the things. Besides dogs are always there to offer comfort and give you support when you need them and having a dog sleep near you is a great idea if you are feeling down. Your dog loves you more than anything else on this world and having a chance to spend more time near you will make them happier and it will reduce their stress levels making them live a longer and healthier life.